This felt/glue/sequins calendar is circa 1981. It was made when DS was 2. 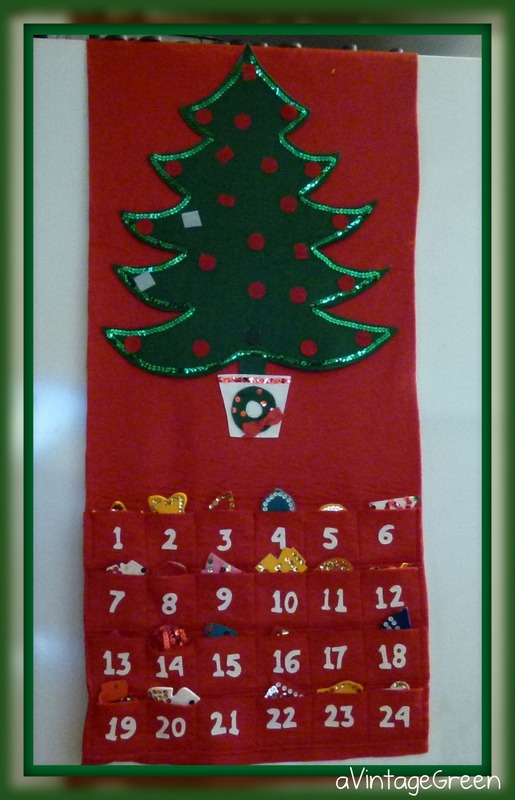 Now DGS, who is 8, helps his Dad put the decorations on the calendar count down to Christmas Day. 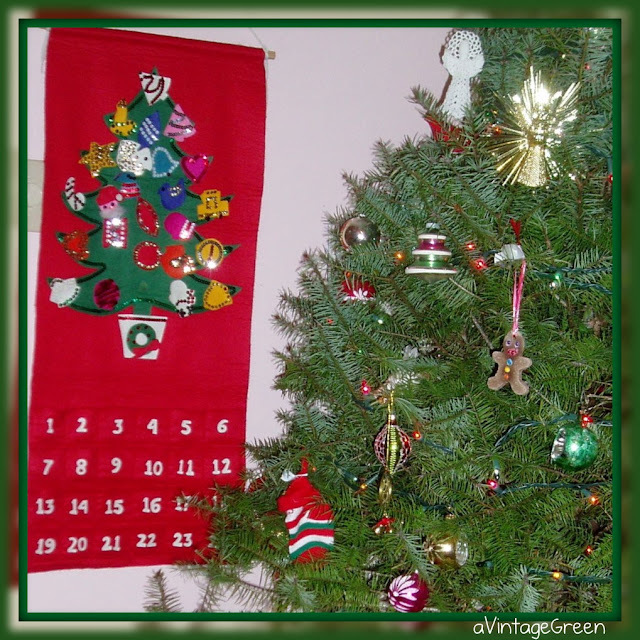 The calendar with this Christmas tree is circa 2004 (DGS was 2). The original pattern for the calendar was found in Women's Day Magazine, most likely the 1981 issue. Two young moms with two very active little boys used some of their scant spare time (nap time) to make a new family tradition for their new families. It is my only memory of sharing time on crafts with another young mom. Thanks Cathy. The letters and picture shapes for the calendar were traced from the magazine patterns on to cardboard, cut out, traced on to various coloured felt and cut out again. Hand numbing work. The sequins were glued with fabric glue (only time I every bought fabric glue). I still have a small container of the sequins, left overs. Matching velcro 'rounds' were glued to each decoration and to the tree. This year the calendar is on the side of the fridge with about 20 magnets holding the top edge. Lots of repairs and replaced velcro dots over the years. (decided that was part of its charm). I love the vintage calendars!! I have several needle work/sequin hangings I have done through the years....the oldest being in the early 70's. I hang them on my kitchen cupboard doors - which is the room I am decorating today! 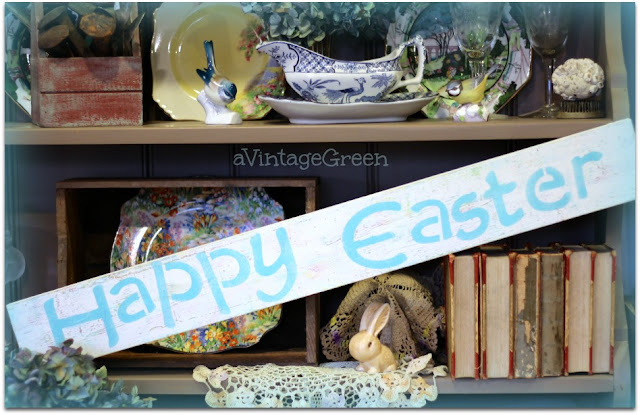 Don't you love the memories associated with our vintage treasures?? The calendar is really cute. Looks so easy to make. Thanks for stopping by my blog and commenting. Love that you have a lovely tradition to pass along to another generation! I just love those old felt advent calendars. They're such a great tradition. I have twelve monthly calendars one for each month, that an elderly gentlemen did. That was his pastime. Did a super job. Your advent calendar gave me a startled jump - even had to go check the Xmas storage box to be sure. I made one quite like this in jr. high sewing class in the mid 70's. Mine now looking much the worse for wear, but kept for purely nostalgic reasons!! Oops! Just realized it's December 2 and I haven't put up my Christmas Countdown Calendar. A gift from a friend years ago and a fun tradition for our family. Thanks for the reminder. It's nice to have the things made years ago, helps to keep the memories alive. You did a good job, knowing that it was made during naptimes has to make you smile these days. what a neat post! Thank you so much for sharing :o) I love vintage and I love hearing stories like this one! Oh, I love this! It certainly has stood the test of time. Tradition makes me smile. Thanks for sharing with air your laundry Friday!